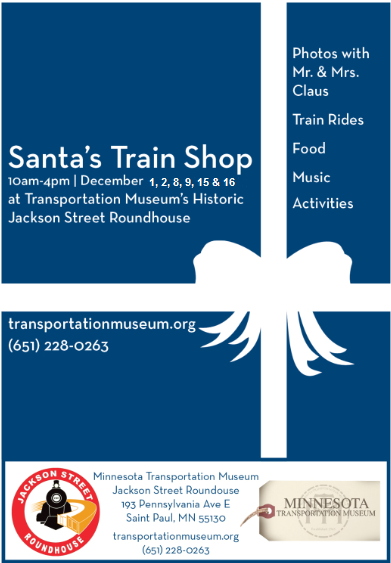 During the first three weekends in December, we host our annual Santa's Train Shop at Jackson Street Roundhouse & Musem. 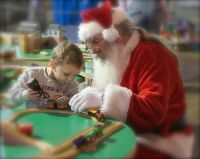 Come on out for activities all day long! 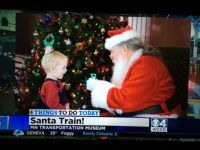 Toddlers (ages 2-4) $6, and free for infants. Members/Membership INCLUDES this event- Become a member and get in for free! *Event will be held rain or shine. 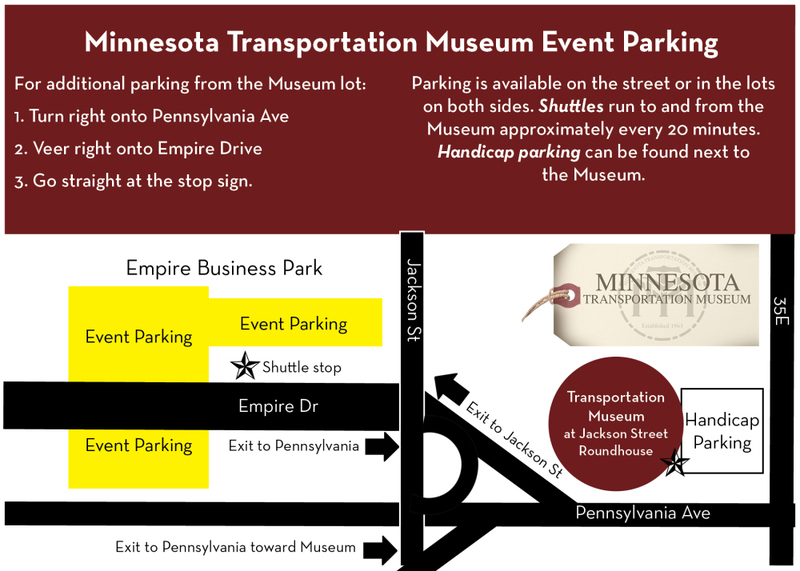 Free parking on site - shuttle bus all day long to overflow parking in the back. What's happening at the Museum? 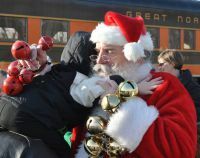 Train rides (right out our back door) are included with admission. 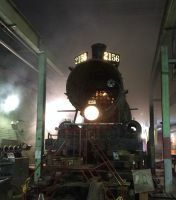 They run all day long beginning at 10:30 am, with a 30 minute lunch break for the crew mid-day. 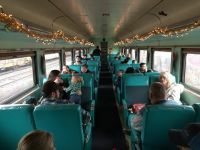 You do not need a special reservation for the ride. Rides are announced on loudspeaker prior to start. Rides are 10 to 15 minutes long and go 1 mile back and forth on the track. You can ride them as many times as you like. Train car is heated. Strollers can be parked off to the side. 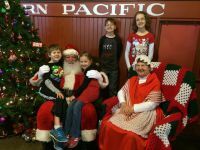 -Get a photo with Mr. & Mrs. Claus ($5) beginning at 11 am. -Blacksmith and Restoration shop tours all day long. Kids get a souvenir in the Blacksmith shop as well. -Snacks and drinks available in gift shop. OR just buy a $100 family membership & get in all year long!